My trips to local and foreign shores – includes tips and reviews on hotels and restaurants. Posted in: 2 Shout-out-Looks, 7 The Travel Bug in Me. Tagged: I'M Hotel and Residences, I'M Onsen Spa, Melissa Lim, Wouter Piet. Note: Indulge me this once with a blog post that is not pageant-related because, believe me, this is just too good to pass up on. I don’t normally gush over new luxury hotel properties opening around the metro. After all, they offer almost the same high-end amenities and conveniences that once you’ve seen one, you’ve practically seen them all. This is where I’M Hotel will enter the market and leave you wanting to either stay or enjoy everything the five-star hotel has to offer. 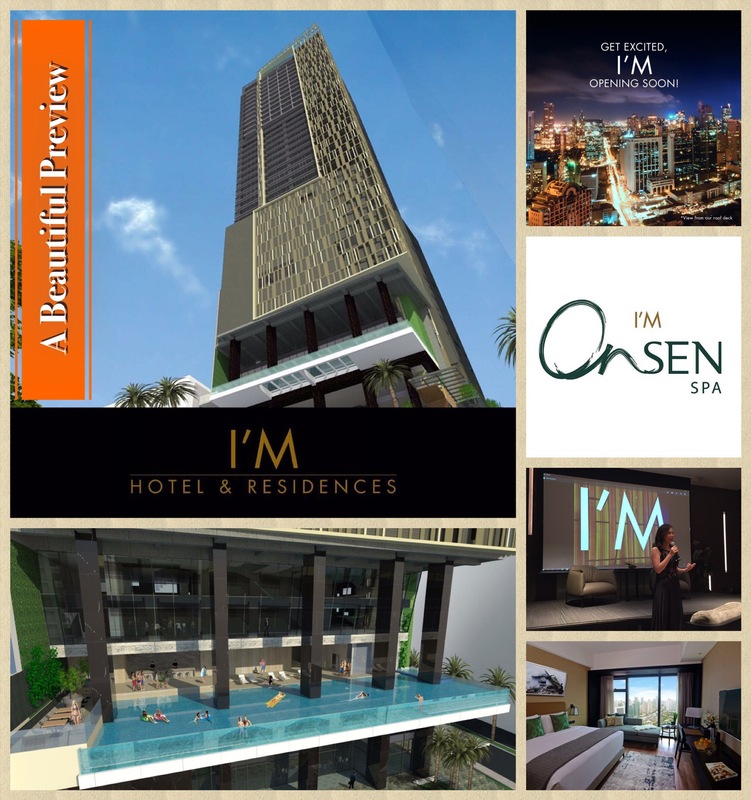 Located on busy Makati Avenue (cornering Kalayaan), I’M Hotel is setting a new benchmark in luxury accomodations without – as the cliché goes – making you spend an arm and a leg just to book a weekend staycation or for an even longer residential base that could be as short as a few days or a month or two. 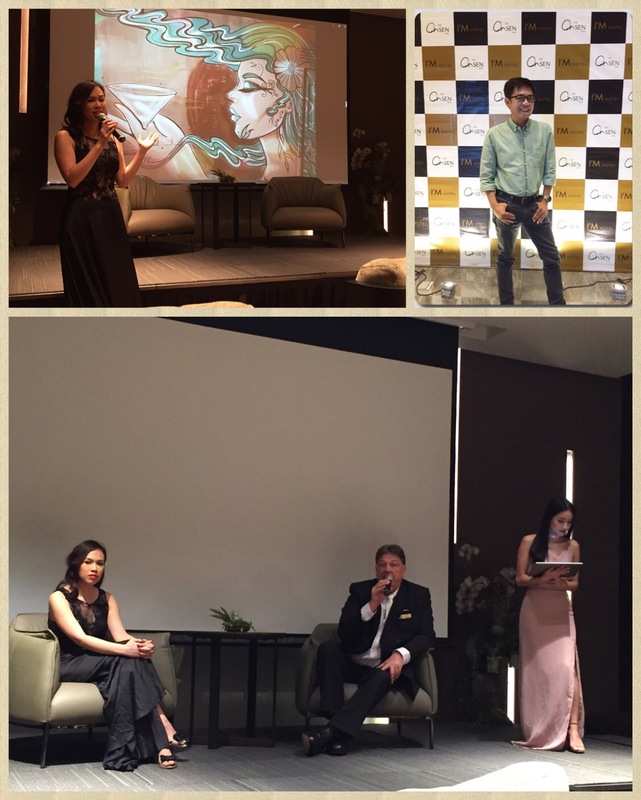 Allow me now to share with you the video showing Marketing Manager Melissa Lim talk about I’M Hotel during the start of the Exclusive Media Preview Launch last night. Now this is the crown jewel of I’M Hotel in my opinion – the I’M Onsen Spa. Occupying six storeys in the towering skyscraper, this very relaxing haven is entirely different from all the other spas in that it is constructed to be like the world-renowned onsens all over Japan. It mimics the mineral composition of hot springs making it the first authentic Japanese thermal bath in the country. It is where you can soak your tired bodies, get the most rejuvenating (or calming) massage, go for an uber cleansing body scrub or mix-and-match other treatments that will leave you in the most serene or recharged state of wellness. Can you imagine, dear readers? 3800 sqm or six floors of pure bliss! The areas are gender-specific in order to maintain the privacy among its male and female guests. 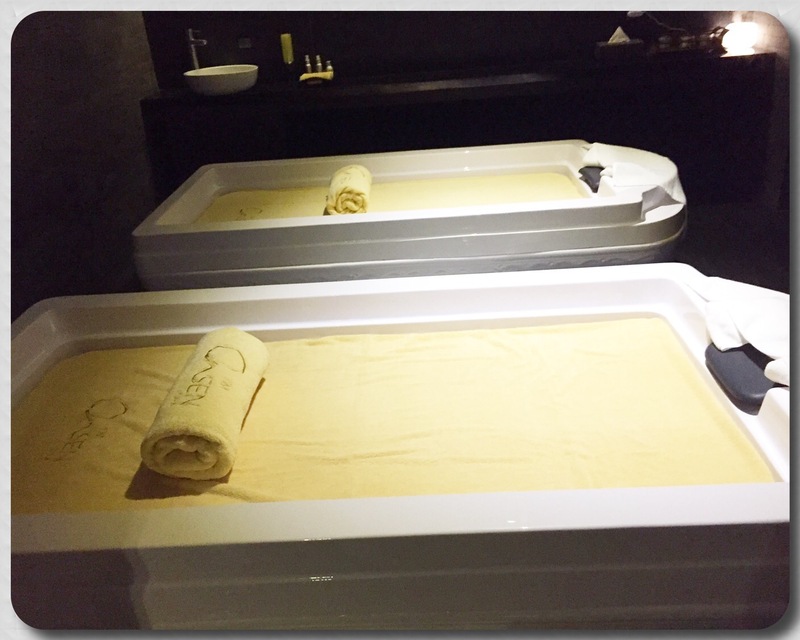 And both the numerous spa pods and suites have the most inviting feel to set you up for a treatment or two that will propel you back to a stress-free self. They even have a couples suite with a private soaking area that is large enough to make two people feel like they are in a small pool filled with mineral water (or milk, whatever pleases the guests). Oh, have I mentioned that you will get a complimentary buffet meal at the in-house Bloom Restaurant once you book a spa appointmen with them? Now that’s completing the whole experience from inside and out. And if you feel like you need a nightcap or would like to enjoy drinks just to laze the night away, the Mermaid Pool Bar (with an acrylic-bottomed infinity pool) hits just the right chilling spot before calling it a night. And so, we come to this – the very inviting guest rooms that go from the Classic to the Prestige to the Suites to the 1-Bedroom/2-Bedroom Suites with Balconies. As much as location is king (which the property can lay claim to considering the central address), space is also a bonus that I’M Hotel can be proud of. The smallest units measure at a minimum of 30 square meters with the biggest occupying more than triple that number. The layout of each offers a lot of room to move around, just as the residential options have intelligently-designed kitchenettes and private viewing decks that will complete the whole stay. So how am I doing so far? Have I convinced you on I’M Hotel? I hope I did because you will get another dose of mouth-watering descriptions of the place the next time I actually spend a night with them, matched with an afternoon at the I’M Onsen Spa. Like and follow I’M Hotel & Residences and I’M Onsen Spa on Facebook. You will never believe the attractive introductory rates by the time they formally open their doors this coming Q1 2017. Posted in: 2 Shout-out-Looks, 7 The Travel Bug in Me. Tagged: Department of Tourism Philippines, Visit the Philippines 2015. 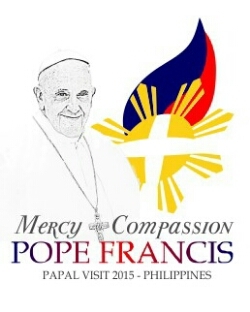 Aside from the Papal Visit in January, 2015, there are more reasons to check out the Philippines next year. By now, you must have already watched the new video of the Department of Tourism Philippines above. 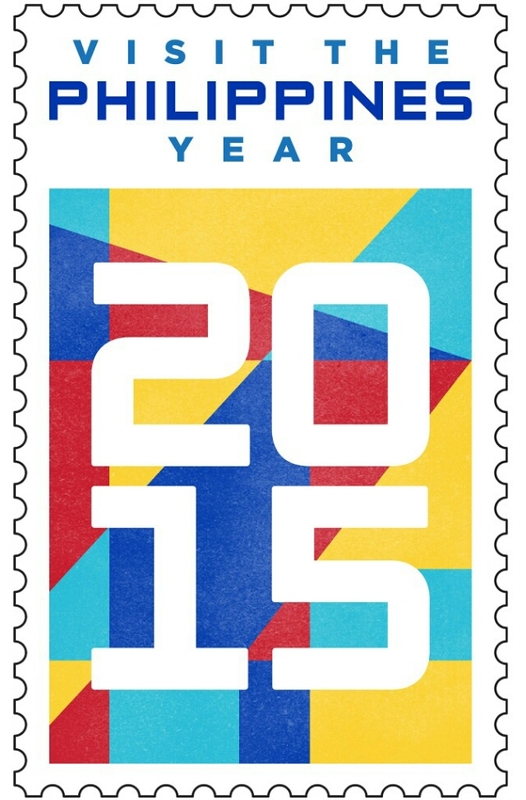 2015 is the best time to visit the country because a lot of things will be happening right from the start. So consider this post my small pitch in helping entice more tourists and balikbayans to schedule their next trip to the Philippines. Aside from the much-awaited Papal Visit happening in mid-January, there are several festivals to be celebrated all year-round and in grander scales at that. Of course, our world-renowned beaches and diving spots remain as the default destinations of most everyone. But there is still much more on offer – from the urban shopping jungles of the city to the lush greeneries of hidden paradise locations all the way to the sparkling waters of Boracay, Palawan and Caramoan. And may I remind you that, aside from being the country with the longest observance of Christmas in the world, something exciting might just take place towards the homestretch of the coming year. While still unconfirmed, the proposed hosting of Miss Universe 2015 in Manila will definitely lure a lot if all things fall into place. Posted in: 2 Shout-out-Looks, 7 The Travel Bug in Me. Tagged: Miss World 2013, U Paasha Seminyak Bali Hotel. 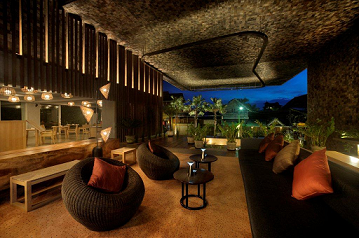 Right in the heart of Bali, U Paasha Seminyak Resort Hotel welcomes all guests with warmth and hospitality. Now that Miss World 2013 will be hosted by Bali until the end of the month, a hotel booking is a must should you be traveling to watch the much-awaited finals of the pageant. And if you want to stay in the heart of the island paradise but not far from where the action is, then U Paasha Seminyak Hotel is for you. What’s more, their rates are quite reasonable for a few nights’ stay. 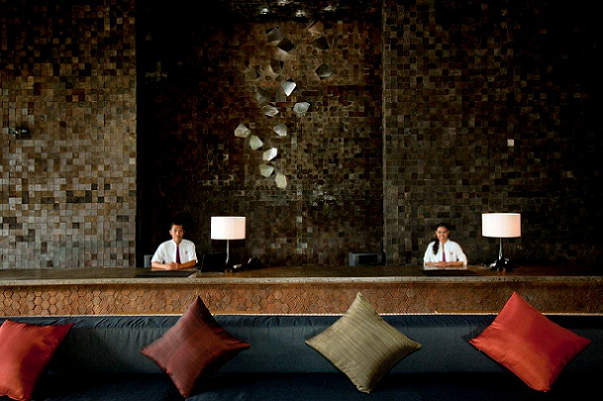 Online rates offer a 20% discount, with complimentary airport transfer for a minimum stay of 2-nights. So if you’re one of those who originally planned to visit Jakarta, but had to cancel and re-book because of recent transfer of finals to Bali, do give U Paasha Seminyak Hotel serious consideration for your temporary home base there. Posted in: 2 Shout-out-Looks, 7 The Travel Bug in Me. Tagged: Bangkok shopping, BTS Asoke, City Lodge Soi 19, Hachiban 8, Kingston Suites, MTR Sukhumvit, Oishi, Radisson Sukhumvit, Sacha's Hotel Uno, Sheraton Grande Sukhumvit, Terminal 21, The Key Bangkok, Westin Sukhumvit. 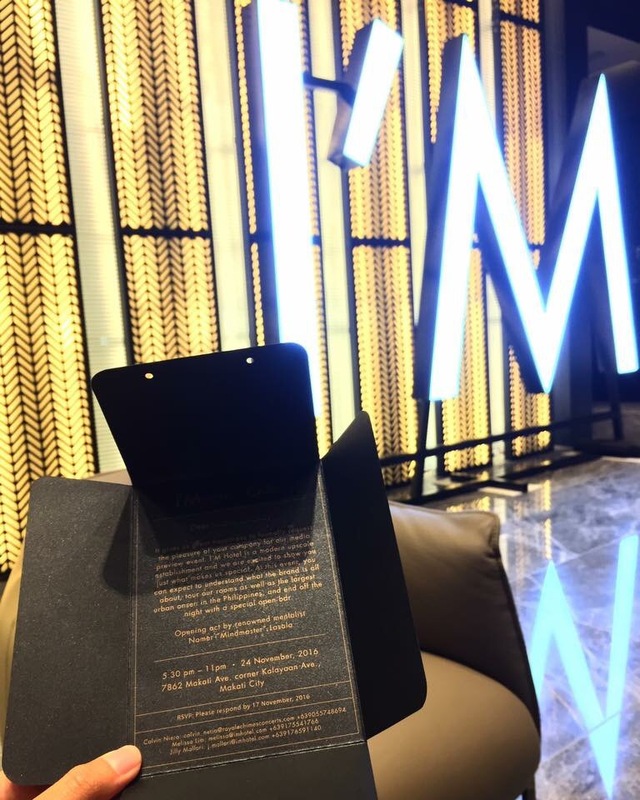 During my recent trip to Bangkok, I made sure of reserving a day just for Terminal 21 – the City of Smiles’ latest addition to its ever-growing number of shopping malls. I simply love the concept of the place. Designed like an airport terminal, each floor has a country theme that evokes specialty shops. 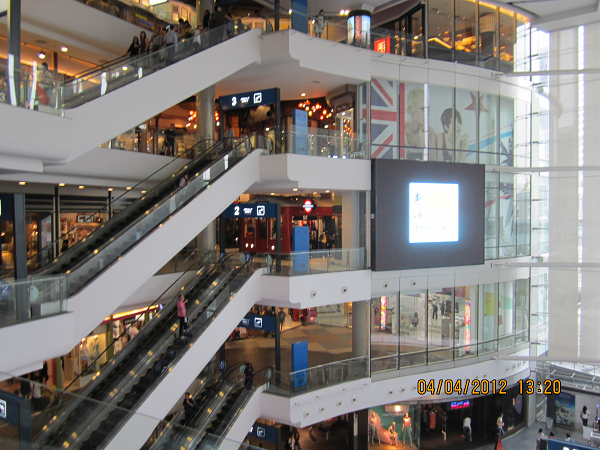 Level M1 is Caribbean (Popular Thai and International brands), Level M is Paris (Mixed), Level 1 is Tokyo (Women’s/Teens Wear), Level 2 is London (Men’s Wear), Level 3 is Istanbul (Jewelries, Accessories), Level 4 is San Francisco (Dining) and Level 5 is an extension of San Francisco which includes the Multiplex. What makes this mall different from the others? Well, it looks and feels like a high-end place, but the independent shops dotting the Paris, London and Istanbul levels make Terminal 21 such an attractive venue to splurge your money (or credit limit) in. In fact, if you’re good at reasonable bargaining, you can get some excellent buys. And the most creative of local clothing manufacturers have joined hands to give shoppers the most unique options. In short, the expensive looks from the outside are just for show because there are really no high-end stores/boutiques inside. It is practically an homage of a mall for the more price-conscious but ambiance-particular among Thais and tourists alike. It can be dizzying looking down from where I took this photo. The long escalator is actually a short cut from M level to all the dining places in San Francisco level. It was pure joy checking out the independent shops in the Paris and London levels. 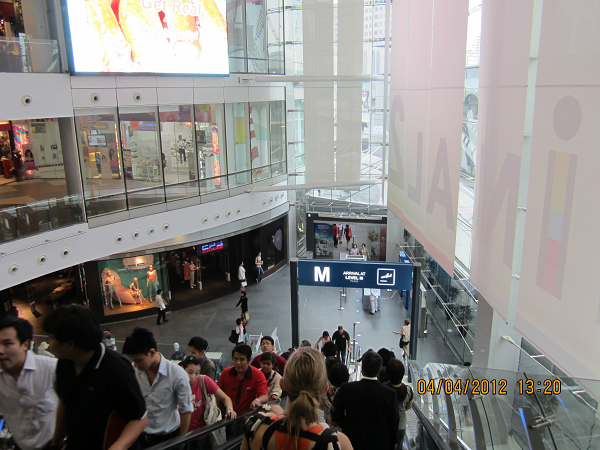 Here's a view of Terminal 21's entrance coming from the BTS Asoke Skytrain station. By the way, don’t worry if you just want to plain window shop. 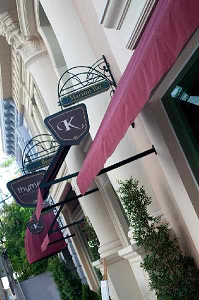 The food level offers a wide variety of mouth-watering choices and all priced competitively. A good number of my favorite eateries (e.g. Hachiban 8 and Oishi) have branches here. And if you have a thing about rest rooms, you will be pleased to know that all the toilet bowls are heated (imported from Japan) and the wash room designs adjusting to the theme of each level. Terminal 21 has an excellent location. It is right at the corner where BTS Asoke (skytrain) and MTR Sukhumvit (subway) meet. If you’re a lazy bone and want to be super close, book a room at Grand Centrepoint Hotel & Residence – Sukhumvit Terminal 21 which has its own access to the mall. 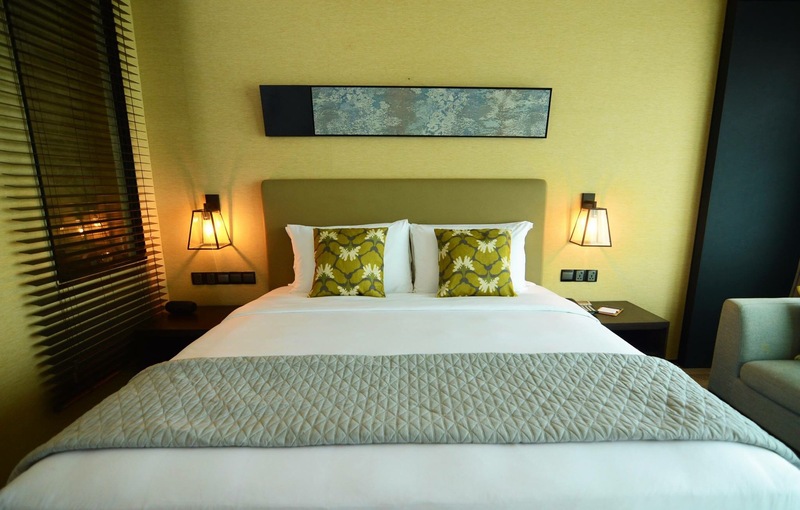 Otherwise, some of the walking distance hotel options here are The Key Bangkok, Sheraton Grande Sukhumvit, Westin Sukhumvit, Radisson Sukhumvit, Kingston Suites, City Lodge Soi 19 and Sacha’s Hotel Uno which you can book HERE. Posted in: 7 The Travel Bug in Me. Tagged: Bangkok, MBK, National Stadium. I’m off to Bangkok this morning for a much-needed break. I will be there till Easter Sunday. If laziness hits me all over, my daily blogs will most likely be every other day. But depending on what inspires me to write about while sipping a tall drink by the pool, I still won’t let a day pass without a new feature. If any of you, dear readers, are Bangkok-bound as well, just holler via Twitter (@normant) or reply to this thread. I practically know the city like the palm of my hand (well, not 100%) so we can meet up for drinks or lunch (in my fave dining places). I shall be staying around the MBK/National Stadium area for this trip. Posted in: 7 The Travel Bug in Me. 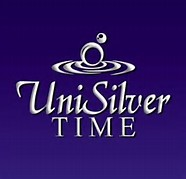 Tagged: Big C, Central World, Gaysorn Plaza, Novotel Bangkok Platinum, Platinum Mall, Pratunam, skytrain. Are you the regular Bangkok traveler who makes the mandatory beeline for Platinum Mall and come out with loads of shopping bags in both hands and still want to re-enter and shop more but is prevented by the cumbersome fact that you have nowhere to dump your purchases in? Well, how does the sound of having your hotel room attached to the shopping annex itself? Good? Nah. I’d say excellent!. 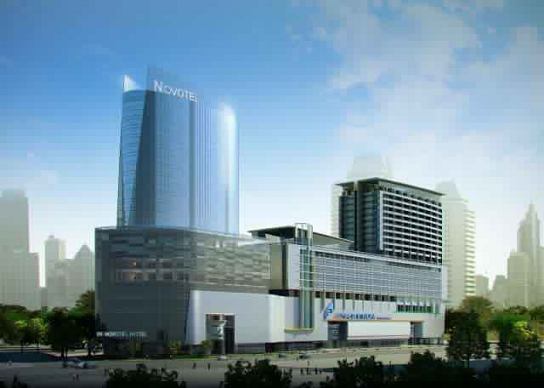 Novotel Bangkok Platinum is one brand-new reason to schedule another trip to the Land of Smiles. The fully non-smoking property is the answer to the shoppers’ dilemma – looking to stay beside Platinum Mall and be allowed constant shopping with frequent room pit stops in between. Sure, there are so many other options around the Pratunam area to consider, but nothing beats staying within the mall’s immediate vicinity. Besides, this is a mid-scale hotel so the prices are almost always priced in the USD100 range, even more reasonable if you get it via Sawadee or Agoda. 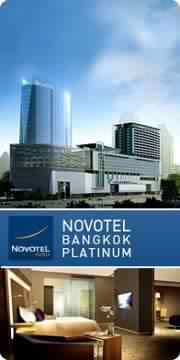 Novotel Bangkok Platinum offers 283 rooms intelligently spread out in a 33-storey skyscraper where the higher floors can afford guests a fantastic view of the city at night. The rooms are well-designed with all the amenities you need to make a brief or longish stay more relaxing. In short, you can get the best of both worlds here – shopping to your heart’s delight and sleeping in crisp, new rooms to relax your tired body. And if I haven’t convicnced you so far, do keep in mind that it is walking distance to Central World, Big C, Pratunam Market, Gaysorn Plaza and more importantly, the Skytrain station at Chitlom (at least a 10-minute trek but still manageable). Posted in: 2 Shout-out-Looks, 7 The Travel Bug in Me. Tagged: Holiday Inn Express Siam Bangkok, MBK, Siam Square, skytrain. Bangkok never runs of brand-new hotels opening left and right. Come hot and humid day or wet and flooded nights, the Land of Smiles continues to rake in millions of tourists….an excellent reason for new properties to keep on cropping up. This time, Holiday Inn Express Bangkok Siam is set to unveil its first brand come February 1, 2012. This will make Thailand the first country in Southeast Asia and the first in Asia Pacific outside Greater China and Japan to welcome the entry of the successful Holiday Inn Express brand. 1) Free Breakfast – this is a staple of all Holiday Inn Express hotels around the world. For the Siam Bangkok pit stop, a limited buffet breakfast will be served on the 7th floor restaurant, with a separate counter where you can “grab & go” for your meals. 2) Free Wi-Fi – No questions asked. As long as you are a hotel guest, you can access the internet anywhere – be it the common areas, 7th floor resto or the comforts of your own room. 3) Excellent Location – Holiday Inn Express Bangkok Siam will particularly interest shoppers who want to stay within arms’ reach of MBK and Siam Square. 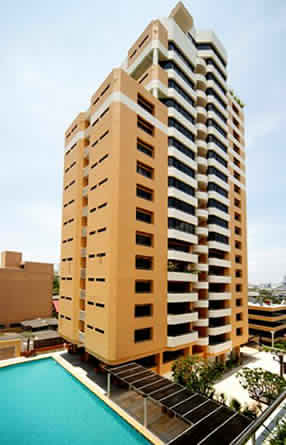 On top of that, you are only 90 steps away from the nearest skytrain station (@National Stadium). Very convenient indeed! 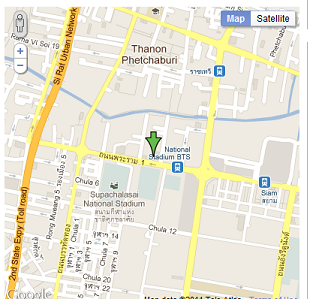 Holiday Inn Express Bangkok Siam's location map (green arrow). Notice how close it is to the skytrain at National Stadium plus MBK Shopping Centre right beside the station. So if you plan to return to (or make a first-time visit to) Bangkok on or after February 1, 2012, consider staying at Holiday Inn Express Bangkok Siam. You will definitely be able to take advantage of one of their 300 brand-new and tastefully-designed rooms sized at a minimum of 23 sq.m..